By laser cleaning it is possible to remove dirt or clean the layers both locally and on large surfaces, both in indoor and outdoor working conditions. The laser can be equipped with up to 50m optical fiber to reach even the heigher spots. Cleaning with high precision removes layers at several depths. With the correct laser setting, it is possible to remove, for example, the top cover layers without interfering with deeper structures, simply without covering the untreated parts of the material. Individual layers of impurities, metal or other coatings, unlike the underlying material, absorb the focused laser beam very well, which leads to its heating and subsequently evaporating from the base. The power of our laser cleaning systems ranges from 20W (CL20) – 1000W (CL1000) and it is necessary to carefully specify the purpose of their use. The low power systems are q-switched pulsed lasers. This gives a peak pulse of up to 50 kW. Compact and versatile, the low power lasers are designed for the costeffective treatment of small areas that require gentle high precision cleaning, de-coating and other surface treatments. The basic system consists of the laser source, with controls and cooling, a fiber optics for beam delivery and a processing head. A simple main power supply is used for operation with a very low energy demand. No other media is required for treating parts. These laser systems are easy to operate and virtually maintenance-free. Whether it’s an Egyptian burial chamber, a plane’s wing or other difficult to access areas, the backpack laser goes almost everywhere. The CL 20 Backpack features a 20 Watt diode pumped laser source with adjustable power settings. 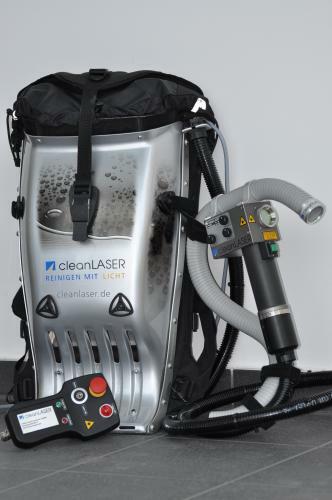 The laser is mounted to a backpack support frame for ease of transport and operator comfort. This super portable 20 Watt laser is wellsuited for small area treatments. Powered by high-capacity batteries, the mobile laser system is fully operational on site without a power source day by day for many hours. These mid power systems are designed around a powerful, diode pumped solidstate laser source. Mid-power lasers deliver performance with gentleness for de-coating and cleaning industrial parts. Using the remarkable power of short pulses of laser light high-value parts can be treated without damage and virtually no emissions. 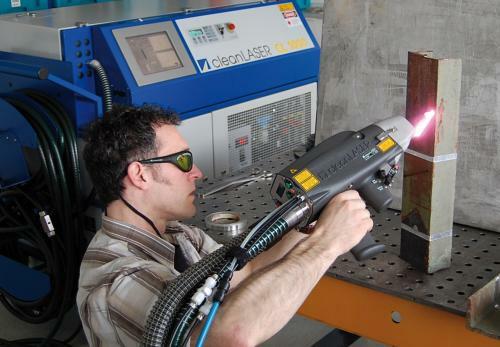 Laser cleaning applications include surface prep for bonding and welding, de-coating metallic surfaces – fully or selectively, removal of production residues from tools, molds and many more. Each unit is designed to consistently deliver high performance with reliability and virtually maintenance-free. Easy to set-up, operate and automate. Plug it in, turn it on and start cleaning/de-coating with laser light – without chemicals, media, dust, water and or clean-up! The CL 1000 delivers amazing performance with an average laser power of 1000 Watt. This unit features a diode pumped laser source for a system that’s reliable and virtually maintenance-free. This laser system can be configured for both handheld use and automated applications with a fieldbus interface. 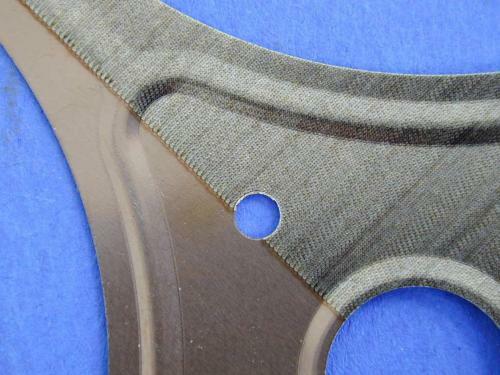 Typical applications are production intensive de-coating, pre-treatment of weld seams or de-contamination. 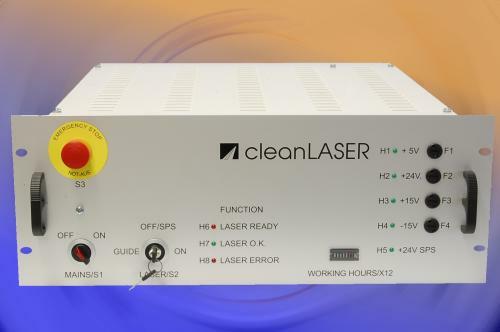 For big projects, in the factory, in the field or at sea, this laser is ready to deliver high power for maximum production with all the benefits of cleaning with light. The CL1000 is designed for reliability and minimal maintenance. It’s easy to set-up, operate and automate. Plug it in, turn it on and start cleaning/de-coating with laser light – without chemicals, media, dust, water and no clean-up! Workstations are flexible systems, well-suited for cleaning/de-coating processes involving manual part assembly. 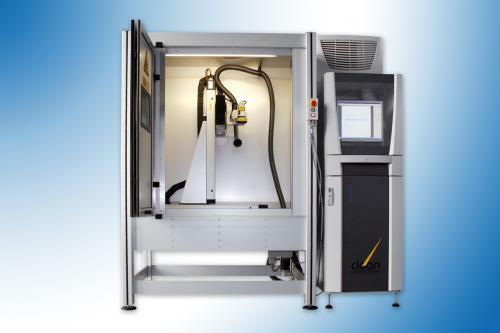 From the cost-effective basic laser safe workstation, to multi-functional automated systems with parts feeding, we configure and optimize each for the application. 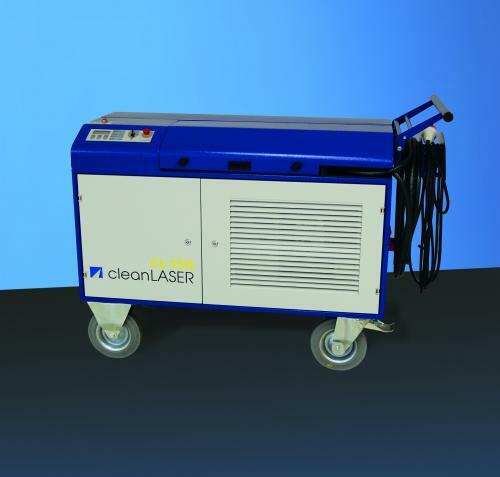 Laser cleaning units can be easily integrated into the production line. They use compact end effectors, beam delivery via flexible fiberoptics and a compact laser source that will save space as it saves time. All laser systems are available in modular designs to accommodate existing facilities and automation via digital I/O or fieldbus. With our global partners we offer ready-for-use and customized solutions to a wide range of industries. 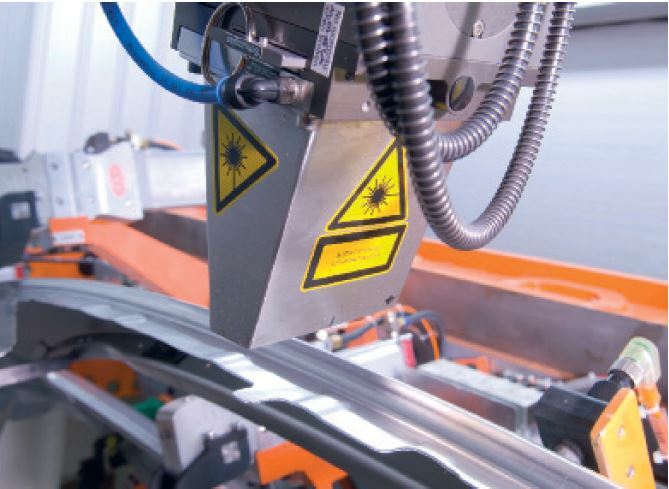 When fully-automated, laser cleaning systems maximize the technologies’ advantages and economic pay-back potential. From laser systems using industrial robots, specially designed laser cleaning faculties, our team provides support from the first test, to implementation, with on-going service and technical support.